If Putin invades Ukraine he won’t stop until he controls Germany. The Russian economy is weak and getting weaker. The Russian government pays people to have babies because the population is declining. Russia makes no product that most westerners can name other than possibly vodka. Ironically, the ‘Stoli’ that the west gets is made in Latvia, a NATO member state. John McCain was right, Russia is a gas station masquerading as a country. What happens when the gas price falls? Russians may starve. The Soviet Union was a failed state. Putin is wrong lamenting its loss. The world, including Russia, is better off without it. Putin may be just bluffing about a move on Ukraine but geography says he’s not. Crimea is connected to Ukraine, not Russia, and to move goods into or out of Sevastopol to Russia, they must travel through the Ukraine. A large part of the Russian military weapons manufacturing is located in the Ukraine. These factories are integral to Putin’s plan to reconstitute the Soviet strategic power. Putin will move soon. When he does, Russia will be declared a rogue state and forces will attempt to rein in Putin’s aggression but it may be too late. Putin will have tasted blood and will want more. With U.S. tanks and tank killer aircraft rusting in the U.S. there will be little to stop a push west to Germany short of a nuclear exchange. Putin is betting we don’t have the stomach for that. If he’s right, we will loose Ukraine to Russian aggression and Germany will finally have to face the debt the Russians have kept on the books since Hitler’s 1941, operation Barbarossa. Putin is betting on the Soviet view of the west as cowardly and willing to give up someone else’s freedom to preserve another month of their own. This is what Hitler relied upon when he took parts of Czechoslovakia. Putin thinks President Obama is weak not just because the disloyal Republican Party controlled by the Soviet funded Koch Family attacks him when they should be supporting him, but also because Putin is, at the base level, a bigot. It’s not just an accident that the GOP loves him. Russia has a much bigger army than Ukraine. The problem for Putin is that the his army must keep tabs, not just on the Ukraine, but on the North Caucasus and other restive regions of the former Soviet empire. If the west signals that it will assist Ukraine militarily, Putin will be hesitant to engage. If the west tips its hand that it will do nothing, then Ukraine will be lost. Not just occupied: destroyed totally with only the factories of the Russian defense industry in Ukraine’s east left intact. Russian paratroopers are likely studying battle plans to seize the Ukrainian defense industry. The U.S. Navy is stronger than all the navies in the world combined. The Chinese have a lot of ships, but they are mostly coastal craft. The Russian fleet is a rusting remnant of the Soviet fleet. Russia likely has seven or eight functional ballistic missile submarines that are the only strategic threat to the U.S. Our navy should make it clear to the Russian Navy that it will be an immediate casualty of any further Putin aggression. The U.N. cannot deal with a permanent member that attacks its neighbors. The basic premise in the Nuclear Age was that the threat of nuclear annihilation was sufficient to force the major players to limit their aggression to proxy wars like Vietnam. Putin knows this and makes a mockery of the U.N. by simply grabbing Crimea. He knows the U.N. is powerless and is betting that Obama is too. The Russians are hiding their faces. President Obama should establish that any person who assists Putin in his war of aggression will be considered a war criminal. That may have little meaning except when the former Putin soldiers try to enter the U.S. Make it clear that they and their families will be cast to live out their lives in the hell that Russia will soon become. The U.S. must provide energy support for the Ukraine and Europe by agreeing to supply natural gas to replace what Russia used to supply. Lacking the economic threat of a gas cutoff, Russia’s ability to project its will, economically, is diminished if not lost. Along with providing natural gas, President Obama should use the Strategic Oil Reserve to force oil prices down. This will impair Putin’s ability to rearm his strategic forces and put pressure on the Russian economy when it is already weak. Finally, the Ukraine should immediately begin transporting, to the west of Ukraine, all of the factory machine tools located in eastern Ukraine, especially those used in the defense industry. Stalin did this in the face of the German invasion and it worked. U.S. defense firms should step up with proposed joint ventures to assist the Ukrainians in this effort and to employ the Ukrainian workers during the transition. War is coming to Europe. We can accept the fact or ignore it and just wait for Putin to attack. He’s betting we’ll do nothing. The Fog of War May be Particularly Thick in a Russian Invaison of the Ukraine. The greatest tank battle ever fought was fought in late summer 1943 about 50 miles from the Ukraine Russian border in Kursk, Russia. In that epic battle, the Germans were in German tanks and the Russians were in Russian tanks. In any fight between Russia and the Ukraine, the combatants will be shooting at tanks that look a lot like their own tanks. Both the Russians and Ukrainians have developed tanks that they do not share, but the chassis are generally all a variant of some form of a Russian tank. In the dark and smoke covered battle field you would have to question whether current infrared optics will be able to consistently distinguish friend from foe. What ever the final outcome, if the Ukrainian army puts up a fight, there will be a lot of Russian soldiers killed, ironically by one of the only armies on earth where the soldiers all speak Russian. Putin may have some long term imperialistic goal of world conquest, but on historical terms, it is difficult to imagine he will be considered anything but militaristic aggressor and another name on the long and growing list of Russian leaders blamed for Russia’s misery. Why would Vladimir Putin risk seriously damaging the already struggling Russian economy? It may be because the people who will pay the immediate and largest price for his aggression, the oligarchs, are his real target. Putin, the fox, has been watching the oligarch hens getting fat. If the West weakens them just enough, he can do the rest. Here is a copy of the March 20, 2014 Executive Order that not only imposes sanctions but authorizes a far reaching seizure of all Russia Kleptocracy related U.S.assets if the U.S. target acts to support any of the blocked entities or their activities. I’ve bolded some key parts. My Conclusion: Treasury and State departments can name a U.S. entity including an individual, as having provided support for Putin or his co-conspirator kleptocrats and oligarchs and then seize all the U.S. resident’s assets without warning. There is no exception for organized crime. Sec. 2. I hereby find that the unrestricted immigrant and nonimmigrant entry into the United States of aliens determined to meet one or more of the criteria in section 1(a) of this order would be detrimental to the interests of the United States, and I hereby suspend entry into the United States, as immigrants or nonimmigrants, of such persons. Such persons shall be treated as persons covered by section 1 of Proclamation 8693 of July 24, 2011 (Suspension of Entry of Aliens Subject to United Nations Security Council Travel Bans and International Emergency Economic Powers Act Sanctions). Sec. 3. I hereby determine that the making of donations of the type of articles specified in section 203(b)(2) of IEEPA (50 U.S.C. 1702(b)(2)) by, to, or for the benefit of any person whose property and interests in property are blocked pursuant to section 1 of this order would seriously impair my ability to deal with the national emergency declared in Executive Order 13660, and expanded in Executive Order 13661 and this order, and I hereby prohibit such donations as provided by section 1 of this order. (d) the term the “Government of the Russian Federation” means the Government of the Russian Federation, any political subdivision, agency, or instrumentality thereof, including the Central Bank of the Russian Federation, and any person owned or controlled by, or acting for or on behalf of, the Government of the Russian Federation. Sec. 7. For those persons whose property and interests in property are blocked pursuant to this order who might have a constitutional presence in the United States, I find that because of the ability to transfer funds or other assets instantaneously, prior notice to such persons of measures to be taken pursuant to this order would render those measures ineffectual. I therefore determine that for these measures to be effective in addressing the national emergency declared in Executive Order 13660, and expanded in Executive Order 13661 and this order, there need be no prior notice of a listing or determination made pursuant to section 1 of this order. Putin the kleptocrat isn’t done stealing. The time line of recent events in the Ukraine has been full and fast changing. Just a few weeks ago before the Sochi Olympics there were news reports was about two American war ships entering the Black Sea. The Montrose Convention rules limits non-Black Sea countries like the U.S. to one war ship at a time so when Turnkey allowed two it must have outraged the Russians. Having two U.S. war ships 20 miles off the coast while Putin lorded over the Russian celebration of success and a new place in the world must have also enraged Putin. Then, while the light of the Olympic torch was fading out, the largest of the former members of the Soviet Union and a Russian speaking country was lost to Russia as a client state. The Maidan protests were able to change the security of Russia’s western border. It now has a real possibility of a hostile Ukraine on Russia’s border. That would not be an acceptable outcome for Putin. Putin is quoted saying that the disintegration of the U.S.S.R. was the greatest geopolitical tragedy of the 20th Century. While he was still glowing in the light of Sochi the largest remaining Russian satellite state changed overnight into a hostile western democracy. Such a thing happening must have been incomprehensible, especially in light of Russia’s proclamation of national superiority in Sochi where Putin stood center stage. Putin failed to foresee that the Russian Kleptocracy would result in so fast and complete rejection of Russia and its culture of theft by the people of the Ukraine. In light of Putin’s well stated view that world was better with the U.S.S.R., being the Soviet soldier on watch at the time of this loss of friendly territory would taint his developing mythology as the tough guy fighting bears without a shirt. The mob in the Maidan had beaten him. A mob of Russians might be next. Russians, like most folks, enjoy a day at the beach. The Black Sea is their only moderate coast. Putin’s theft of Crimea was necessary to preserve Putin’s myth of toughness. So, he stole some ocean front property that would make the Russian people happy. Put a few masked special forces in and they slowly overcame the outnumbered unprepared Ukrainian forces. Hardly an epic story of military courage. But for a heist, it was a good week’s work. Russians, who exist in a nation run by thieves, applaud Putin’s boldness. Will Putin advance on the rest of Ukraine? Yes. First, he’s been shown to be a liar regarding annexation so any statement to the contrary should be ignored now and forever. Second, he is drunk with his own power and he will take the industrial cities of the Ukraine because it’s easier to steal a factory than build one. After all, stealing is what a good kleptocrat does. Third, the Crimea is attached to Ukraine not to Russia. Geography mandates Russians steal access. The U.S. and western allies have been firm and have and will impose increasing sanctions that mean that the already weak Russian economy will get much weaker. The question should be whether Putin end with the Ukraine? Moving on NATO members will by treaty turn into a fight between Russia and the U.S. Putin leaving the nuclear war implications aside, Putin may like his new harbor in Crimea but he doesn’t have much of a navy. He still has a few missile submarines and ships that can reach Cuba without breaking down. But, within a week of the moment that Putin makes the mistake to move on NATO, Russian will have no more Navy. The Russian enclave at Kaliningrad will be unsustainable and the Black Sea likely closed to Russian ships. The result of Putin’s foolish gamble will be a smaller and weaker Russia that no longer has a functional navy. You can’t drive from Russia to the Crimea without going through the Ukraine. If you look at a map of Russia, you can see that its only warm water port is in the Black Sea. Russian military was in the Crimea lawfully until a few weeks ago. Had Putin done nothing, Sevastopol would remain a Russian base. One way to explain what Putin is doing is to conclude he’s just exploiting an opportunity presented by the Maidan and will stop with Crimea. But that ignores geography. Russia can’t rationally expect to hold the Crimea in the context of a militarily hostile Ukraine. Crimea only has roads to the Ukraine: none to Russia. Unless Ukraine capitulates, Putin can’t keep Crimea without forcefully seizing parts of the Eastern Ukraine. I’ve been wondering where the Russian main battle tanks are because I haven’t seen any in the shots near the Ukraine. Today I saw a post of what was claimed to be a train of Russian main battle tanks in the Crimea. Exactly why the Russians would want their main battle tanks on land that is essentially an island escapes me. The evidence strongly suggests that the Koch brothers’ grandfather was a foreign intelligence asset. It also appears that the Koch Brothers father, Fred C. Koch, was one too. This paper will discuss the evidence to support the claim that the two sons who control the Koch family’s massive wealth are completing the family goal of destruction of the US civil society. I started on this investigation looking into reports of a connection between the Koch family and infamous members of the German Nazi Party. So far, I have not found evidence to support that specific claim. Fred Chace Koch’s excessive offshore activities starting in the 1920’s and continuing to the 1940’s still may turn out that his actions were related to Nazi Germany. The first Koch Family member in America was Hozte Koch who changed his first name to Harry. Harry Koch arrived in American on December 4, 1888 as a passenger on the S.S. Amsterdam, that had sailed from Rotterdam to New York. There is evidence that he immigrated from the Netherlands by way of Bremen Germany where he was supposedly working as printer’s apprentice. The big question is: How did a printer’s apprentice in 1888, the date of his arrival in America, buy two newspapers shortly after he arrived? The logical conclusion would be that he had an external source of capital. There are unverified reports that Harry Koch lived in New Orleans, Michigan and later in Chicago Ill. In any event, sometime in the 1890’s he moved to Quanah Texas in Hardeman County and soon purchased the two local newspapers. In the same census, his wife is listed as Margaret M. Koch, 25 years old, born in February 1875. 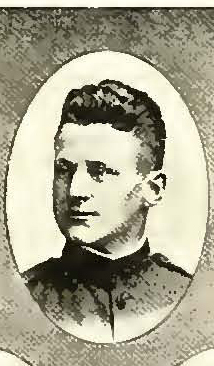 The first born son, John A. Koch is listed as one year old, born in December 1898. Harry got busy in the newspaper business and was even chosen as the President of the Texas Press Association in 1918. There is yet unverified reports that the rail road that was being built through Quanah was financed by Dutch capital. Having a person who could ask questions as a matter of journalistic endeavor would have been good cover for an intelligence officer put in place to monitor a Royal Dutch investment and is a common practice. Moreover, I am exploring the facts surrounding Royal Dutch Oil (nka Shell Oil) that was engaged in activities related to the oil patch in Texas in the early 1900’s. More later. 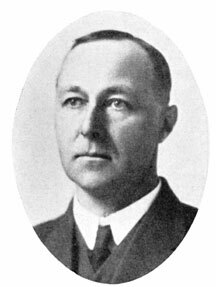 Harry’s eldest son, John Anton Koch’s date of birth is fairly well documented as November 10, 1898. Here is a copy of John Anton Koch’s draft registration that confirms it. John Anton Koch Draft Reg Card Assuming that Fred C. Koch was born on September 23, 1900 as the census data suggests, under the law existing at that time he had until September 28, 1918 to register for the draft. However, the final call for draft registration was September 12, 1918 and it appears Fred C. Koch missed the obligatory date by eleven days. See Toussie v. United States, 397 U.S. 112, 117, 90 S. Ct. 858, 861, 25 L. Ed. 2d 156, 162, 1970 U.S. LEXIS 96, 9 (U.S. 1970). The John Anton Koch draft card dated 19 days before Fred C. Koch was required to register, contains some surprising data. First, it evidences that John Anton was a laborer working in Laramie Wyoming. I have found nothing to support this fact beyond the John Anton Koch Draft Card. This would appear to conflict with the evidence that in 1918 both Koch brothers were students at Rice Institute (later named Rice University). Here are two pages from the 1918 Rice Campanile yearbook. Fred and John at Rice Pages from Campanile 1918 This evidences that despite the approximate two year age difference, the Koch Brothers were in the same freshman class. The 1920 Federal Census evidences John and Fred both living with their parents. John is shown as a reporter, and Fred a salesman in a drug store. Consistent with the theory that the Koch’s were engaged in espionage is the fact that during the period that John Anton Koch was in Wyoming, the region was in an oil boom that also included the building of a highway system that could explain his job in a cement related business. Though with today’s DNA technology it would be fairly simple to verify Fred C. Koch’s relationship to Harry and Margaret Koch, a simple comparison of the contemporaneous photos of Harry, John and Fred show the apparent similarity between John Anton and Harry. Fred did not share the similarity in my opinion. It appears that John Anton did not advance beyond 1918 at Rice and the evidence shows he worked in his Father’s newspaper in Quanah Texas. 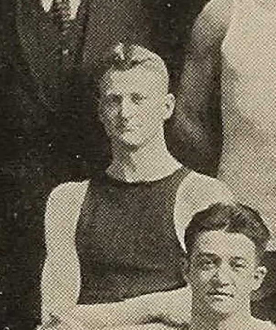 Fred entered MIT as a sophomore, was captain of the boxing team and was in the graduating class of 1922. Here is a shot of Fred as a boxer in MIT’s 1921 Technique yearbook. 1922 MIT Yearbook with the1921 MIT Boxing Team with Fred. Again, the lack of similarity to his father is apparent to me. 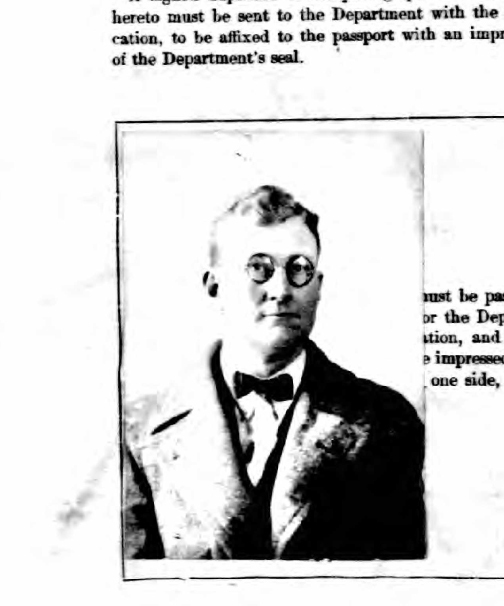 One of the strangest artifacts of Fred Koch’s life history is his 1924 U.S. Passport application. Fred Passport Application Complete with index. This application made in New York discloses that Fred had been a seaman in the British Isles in the summer of 1919. Rather than include a copy of a birth certificate to prove his birth, the application contains an affidavit from someone claiming to know the relevant facts obtained when he taught the Koch brothers in high school in Texas. Based on this somewhat flimsy support, Fed obtained a passport and then set off on repeated transoceanic voyages and flights. The dissimilarity between Fred’s 1922 MIT yearbook photo and the one attached to his 1924 passport application is also noteworthy. When Fred’s life is addressed it is generally claimed that he developed technology and then applied that technology to advance the oil industry of the Soviet Union. One document that is available online shows that in February 1945, Fred traveled from Halifax Nova Scotia and was listed on the ship’s papers as a U.S. Govt. Official, care of the U.S. Embassy London. Fred Passenger List Govt Official. This is the pattern of Fred’s travel as evidenced by the records obtained on line. 1924, 1925, 1930, 1931, 1933, 1937 and 1945. There may be other trips that I have not yet uncovered. The Koch family story says that, despite having played a key role in the development of the Soviet Union’s oil industry, Fred became disillusioned about the communist system he had helped build and returned to the U.S. as a staunch anti-communist. He then set about to establish one of the most radical right wing fringe groups, the John Birch Society, named for the person claimed to have been the first casualty of the Cold War. The John Birch Society is the parent organization for the so called Tea Party and is the group parodied in the film Dr. Strangelove through the character General Jack D. Ripper, the Air Force general who sought to cause a nuclear war to protect his “precious bodily fluids.” That was a joke. But this family running the U.S. is not a joke but an imminent frightening reality. Another fact that I uncovered is that Hotze aka Harry Koch committed suicide with a pistol in 1942. Here is his death certificate. Harry Koch Death Certificate Also, I have found evidence that Hotze aka Harry Koch traveled under false papers in 1921. Hotze used his father’s name also his older son’s name when returning to the US from Europe. The age of the traveler is 54, Harry’s actual age based on the earliest records. John Anton was in contrast just 21 at the time. This is how a mole travels. Underground. My opinion is that Harry Koch entered the United States under false pretenses as an intelligence agent working for the Dutch, German and/or Russian intelligence services. At the time these countries were monarchies with interlocking family ownership. It is possible that he worked for a combination of principals. 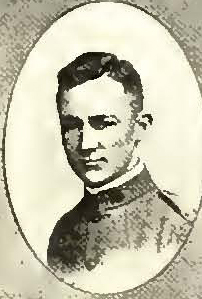 Fred C. Koch, Fred’s youngest son and his older brother John Anton Koch both may have worked for their Father’s foreign principal. I have not been able to determine which side Harry Koch was on during the 1930’s and 1940’s. Earlier, the work appears to have related to issues important to the Dutch. During my research, I was able to piece together from source documents, fragments of the Koch Family history including Fred C. Koch’s activities. The actions of the two sons may soon be exposed in the Mueller probe related to the use of the Koch funding machine that my investigation shows was used to move Russia money to GOP candidates. I believe they may be charged with money laundering, conspiracy to violate US campaign laws and treason for levying war against the US during the 2016 election.